The Canon 300mm f/4 USM IS lens is a high-power, USM autofocus telephoto lens with IS image stabilization. This lens is well suited to nature, airshows and sports photography. 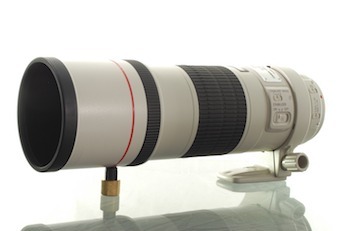 The Canon 300mm f/4 is often compared to the Canon 100-400mm f/3.5-5.6. The 300mm f/4 has advantages with it's faster aperture and lighter weight of 1190 grams compared to the 1360 gram weight of the Canon 100-400mm lens. 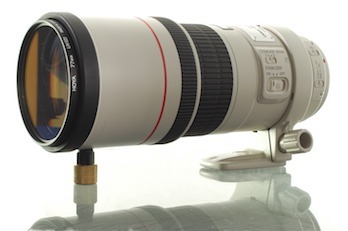 The Canon 300mm can also be combined with the Canon 1.4x extender, transforming the lens into an approximate 420mm f/5.6. The Canon 100-400mm lens is superior for the versitility of it's zoom range and more powerful 400mm maximum focal length. 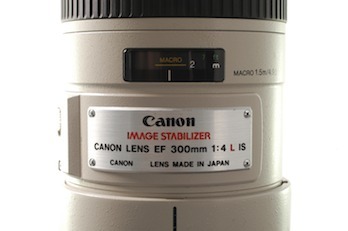 IS: Canon IS image stabilization helps to steady your pictures and reduce blur from camera shake.